The arki_probes is a development of the idea of cultural-probes. They address the problem that you can’t follow people around in their everyday life to document their behavior and use of spaces – instead we send a probe with them. 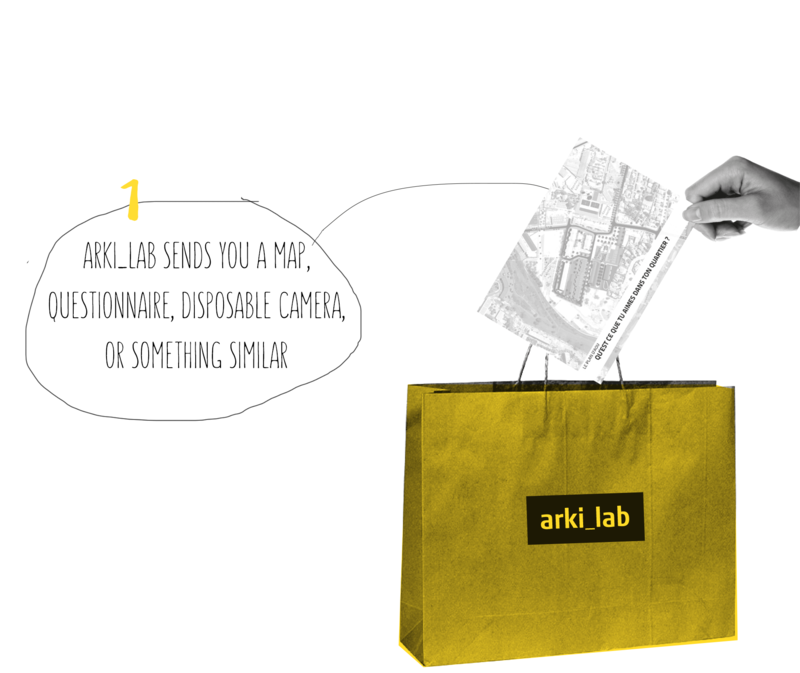 arki_probes can take many forms, some simply being a postcard with a question or a map to draw on, others being small kits of multiple probes ranging from maps, urban diaries and disposable cameras to full scale digital platforms. The probe-kits can be themed in different ways to engage specific user-groups, for example as an urban scavenger hunt aimed at families with kids. The point of the probes is that they are easy to deploy [hand out to people] and have an inbuilt return mechanism [by mail, by delivery to a certain place, by uploading]. One of our very successful probes are the memory-diary aimed at very old people, where they gain the possibility to tell about they life, experiences of living in their neighborhood and their wishes. These gave a unique insight into the everyday life of a user group, that is very hard to engage by normal approaches.